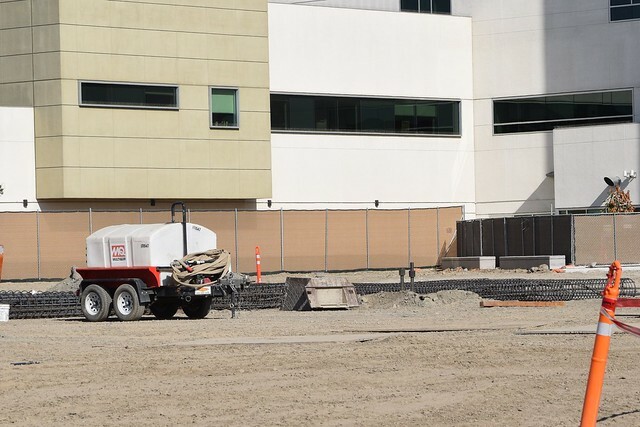 In the back of the Kaiser Permanente Hospital, there is a lot of construction going on. They have torn up the parking lot. 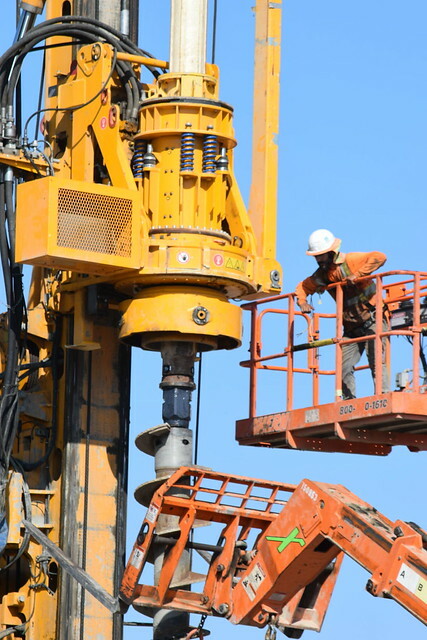 This machine is drilling very deep holes. 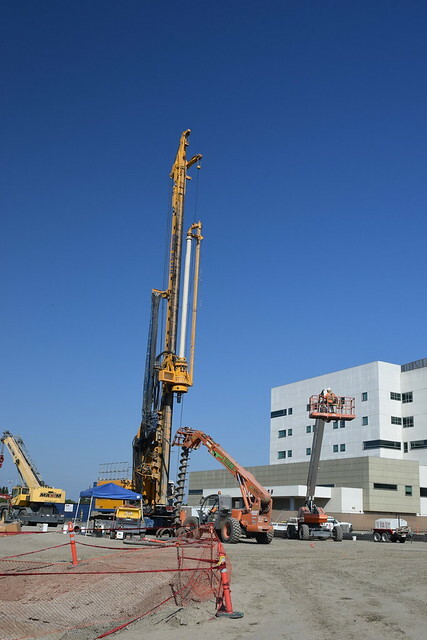 This new tower expansion will add 96 beds along with updated technology to the campus, according to the Downey Patriot. As you can see from the picture above, they have long cylinders of rebar ready to drop down the holes and then fill the holes with cement.